As a child, Meer Logan was haunted by memories of another time and place, always accompanied by the faint strains of elusive music. Now the past has reached out again in the form of a strange letter that sets her on a journey to Vienna to unlock the mystery of who she once was. With each step, she comes closer to remembering connections between a clandestine reincarnationist society, a lost flute linked to Ludwig van Beethoven, and David Yalom, a journalist who understands all too well how the past affects the future. Malachai Samuels of the Phoenix Foundation (from The Reincarnationist) is under investigation by the FBI, but that doesn’t stop him from his quest for a personal experience of reincarnation. This time the memory tool he seeks is an ancient bone flute rumored to have once been possessed by Beethoven. Since childhood, Meer Logan has been haunted by a tune and images of an ornate memory box along with what she believes to be false memories of another lifetime. Malachai helped her through the difficult times then, so she turns to him now. When the box in her visions turns up in Vienna, she goes there and the visions return with a vengeance. Again, there is someone willing to kill for the memory tool as well as an Israeli journalist out to avenge the deaths of his family by terrorists. The plot is fairly complicated, but comes together nicely at the end, with a few loose ends for the next book, The Hypnotist. The flashbacks to previous lives are fascinating, and I found the ending to be satisfying and emotional; a beautiful story in many ways. This is one of my favorite books in this wonderful series. This review of The Memorist by MJ Rose was first posted May 6, 2009 at my Flights-a-Fancy blog. 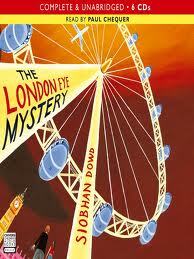 School will be out soon, so I wanted to recommend a couple of books for teens and pre-teens: Drawn and The London Eye Mystery. Both take place in England, a favorite destination for me and a lot of travelers. Michelle DeFreccio, an American teenager just moved to England, is a talented and sensitive artist. Her father has started teaching at an upscale English academy, which Michelle now attends. She hopes to start over without the baggage of her past, namely her “psychic” mother and schizophrenic brother and the label De-Freak-O. But life in England has its own challenges. As an American, she’s not always sure how to navigate the social divide within her school. 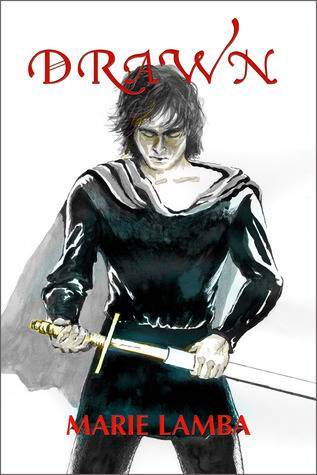 More troubling are the pictures she finds herself sketching of a young man in Medieval garb, a young man named Christopher who refuses to stay on the page. Before Michelle knows it, she is drawn into the past where her presence changes things, not always for the better. Worse, she’s in love with a man who died long ago and there’s nothing she can do to save him. Or is there? She tries to figure out what happened in the past in order to change things, sometimes with terrible consequences. I was so impressed by this book. I was utterly “drawn” into it by the great story and wonderful writing. One of the best YA novels I’ve read in recent years. Five stars. Ted Sparks is budding meterologist who sees the world through the language of the weather. A 12-year-old genius, Ted also suffers with high-functioning Asperger’s Syndrome. His brain is wired differently than most people’s which allows him to see connections between things and people that others miss. This comes in handy when his 13-year-old cousin, Salim, disappears while riding the London Eye. Salim and his mother, Aunt Gloria, come to town to visit with Ted, his parents and his older sister Kat, often referred to by Ted as Katastrophe. Salim and Aunt Gloria are on their way to live in New York, but Salim doesn’t want to go. Is his disappearance from the Eye a crime or the ill-fated prank of a disgruntled teenager? Ted and Kat work together (somewhat reluctantly at times) to solve the mystery of Salim’s disappearance and are surprised to find that they make a good team. Ted may be the genius, but Kat is pretty smart, too, in a more practical way. Ted’s narration is a delight. I love his voice and the interesting and strange connections he makes in his brilliant mind. Though he doesn’t have good social skills, he tries to learn appropriate responses, and his quirks become endearing to the reader. Very enjoyable read.